Everybody needs a dose of comedy in their laugh. A hearty laugh is said to be an effective cure for many diseases. 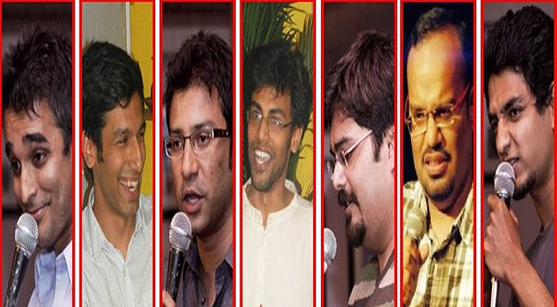 There is also the increased maturity in the audience, which has led to the growth of comedy in Bangalore. People have been exposed to different styles from different parts have the world and now have learnt to appreciate all kinds of humour. Here are some ways to bring some humour into your life in and around Bangalore. The open mic nights are the best spots for you if you would like to enjoy raw talent without spending a pretty penny. A lot of hotels, restaurants, clubs and cafes hold open mic stand-up comedy nights at different days of the week across Bangalore. They come usually free of cost and in very rare cases at nominal charges. You will get to see amateurs try it out to get you to laugh and sometimes even well-known professionals make an appearance to try out their new material. Most amateurs start out at these open mic nights, so remember the faces that you see there, because you might realize that later they have grown and become big names in the stand-up industry. Your best bet to find quality humour would be to join a comedy club in Bangalore. These clubs keep you posted about acts and performances by professionals, including where and when it will happen and what price the tickets would be. They also are privy to special performances through invitation only by stalwarts of the industry. Some clubs also arrange for their members to get special discounts for professional performances. They also encourage members to try giving a shot on stage. Comedy clubs are the breeding grounds of today’s comedy scenario. Comedy in theatre has preceded stand-up acts by ages. The comedy in plays is somewhat more subtle and refined in some critics’ opinions. Dark comedy is a genre that is perfected at the theatre. These plays also give you food for thought, well after the curtains have come down. Satire is also well delivered through plays. Plays also come out in different languages in Bangalore and their topics are more diverse than stand-up acts. Try theatre if you are looking beyond just humour. Humour is hardest to create in the form of a written word, for it lacks the living tone of the character or the narrator. However, when it is done, it packs a good punch. Check out the local book club or the library for suggestions on funny and rib-tickling books. There are more choices than you can imagine from writers all around the world. The best part of a funny book is that it can be read and re-read again to come across your favourite parts. Author: The author is trained consultant working for a software firm. He is very much interested in Events High and occasionally even writes for eventshigh.